Forget the Taronga Zoo, the Sydney Opera House and the Harbour Bridge, because the most exciting thing around is your next sold out event! 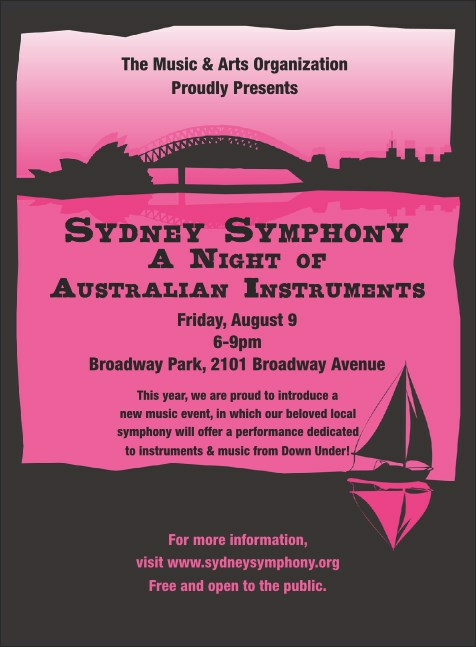 Let everyone know about it with this thrilling pink Sydney Invitation. Featuring a view of Port Jackson, this invitation is printed on high quality paper. Now that you've told them about your event, keep promoting it with matching materials available through TicketPrinting.com.